The first of two scheduled Texas executions this week took place Wednesday evening. Troy Clark, 51, was convicted in the 1998 Tyler kidnapping and murder of Christina Muse, and he had been accused of two other murders and a slew of other crimes, according to court records. The prosecution said Clark beat and drowned Muse before stuffing her body in a barrel with concrete and hiding it on his landlord’s property. With no last-minute legal challenges, Clark was placed on the gurney in the execution chamber shortly after 6 p.m. His spouse and four friends stood behind a glass pane in a small room off the chamber, and family members of the victims gathered in an adjacent room, according to a witness list from the Texas Department of Criminal Justice. After giving his final statement into a microphone hanging above his head, he was injected with a lethal dose of pentobarbital and pronounced dead at 6:36 p.m.
"I’m not the one that killed Christina, so whatever makes y'all happy," Clark said in his last words. "I love y'all. I’ll see you on the other side." His conviction had been questioned by anti-death penalty advocates, since it was largely based on the testimony of his then girlfriend who also faced a murder charge. And for years, his legal fight had focused on a lack of evidence presented at trial that could have swayed the jury to opt for the lesser sentence of life, like his suffering from fetal alcohol syndrome. At the time of Muse’s murder, Clark was living with his girlfriend, Tory Bush. The three would do drugs together — court records show Clark used and dealt methamphetamines — but Bush testified at trial that on May 19, 1998, Muse came over and Clark tased her with a stun gun, taped her hands, ankles and mouth and then put her in a closet. Several hours later, he took her to the bathroom, beat her over the head with a wooden board and had Bush help him drown her in the bathtub, according to Bush. The barrel and Muse’s decomposing body were found months later after Bush spoke to police while under arrest on another charge. In 2000, Bush said at Clark’s trial that he was paranoid and thought Muse was talking to the wrong people about his drug dealings. After he tased her, “He told her, he said, ‘You should have kept your mouth shut,’” Bush told the jury. Others testified that they had helped Clark load a blue barrel on his truck the day Muse disappeared. And the state also brought forth witnesses that indicated he had killed two other people, including a man whose body was found in a septic tank on the same property as Muse, according to federal court filings. In an unsuccessful last-ditch petition to the Texas parole board asking for a reduced sentence, Clark’s attorney pointed out that Bush’s testimony — which played a large role at trial — had changed several times. At trial, attorneys briefly questioned Bush on her changing testimony, and she said she had lied earlier because she was afraid of Clark and also loved him, the trial record shows. She acknowledged on cross examination that she had been given a promise of a 30-year recommended sentence for her involvement in the murder if she cooperated with the prosecution. Bush ultimately pleaded guilty to a 20-year sentence and has since been released from prison. “Clark’s death sentence is the product of the largely uncorroborated testimony of an incentivized co-defendant and a trial attorney whose performance was abysmal,” wrote David Dow, Clark’s current attorney, in his plea to the parole board. The board voted unanimously against Clark’s petition on Monday. Clark’s appellate attorneys had also sought a second chance from the courts because the defense attorneys at his trial didn’t present mitigating evidence that could have led to a sentence of life in prison instead of death. In the petition to the parole board, Dow wrote that an investigation by the defense would have shown that Clark suffers from fetal alcohol syndrome. Though that had not yet been presented to the courts, they had ruled against earlier claims faulting his defense attorney based on the lack of evidence at trial, largely because of the heinous crime and Clark’s own testimony at trial. Against his attorney’s advice, he kept his family from testifying on his behalf and asked the jury to give him the death penalty. “Given applicant’s behavior on the witness stand at the punishment phase, during which he continued to deny his guilt, expressed no remorse, and asked the jury to give him the death penalty, it is improbable that the presentation of mitigation evidence relating to his troubled childhood and cognitive deficits would have persuaded the jury to sentence him to life instead of death,” said Texas Court of Criminal Appeals Judge Elsa Alcala, a known death penalty critic, in a 2014 opinion. 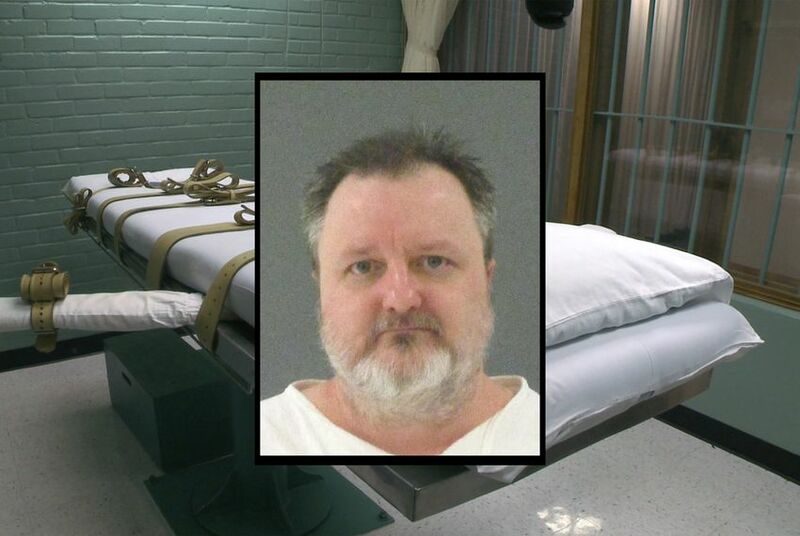 Clark's execution Wednesday was the ninth of the year in Texas. On Thursday, the death chamber was scheduled to hold another execution for Daniel Acker, who was sentenced to death in the 2000 murder of his girlfriend in Hopkins County. Six others are on the schedule through December, and two more are set for next year, according to the Texas Department of Criminal Justice. In 2016 and 2017, the state put seven people to death each year.